Tyler Pegg is Vice President of Brokerage at Coldwell Banker Commercial Sun Coast Partners, LLC and he has a diverse background in real estate as an active broker. He specializes in Retail, Office, Industrial, Land, Specialty Properties and Investment brokerage in Southeast North Carolina and is licensed in both NC and SC. Since joining CBC Sun Coast in 2007, Tyler has successfully closed over 500 transactions representing Tenants, Landlords, Buyers and Sellers. Tyler is from Chapel Hill, North Carolina and a 2004 Graduate from the University of North Carolina at Wilmington. While at UNCW Tyler worked for the University as an Educational Programmer and earned a Bachelor’s of Science in Business Administration from the Cameron School of Business. After graduating Tyler worked for Matchmaker Logistics and Culligan, where he gained experience in sales and marketing across Canada and the US. During this time, Tyler earned his real estate license in both North and South Carolina. In early 2007 he took his experience in sales and marketing and went to work with Coldwell Banker Commercial. While at Coldwell Banker Commercial Tyler helped Co-Found The CRESS Group in 2012 and he continues his work with both companies to this day. 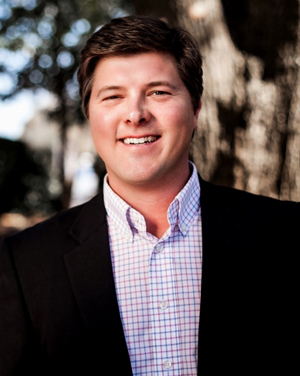 Tyler is a Board Member and Partner with Wilmington Downtown Inc. and he continues to serve as a Board Director for the Realtors Foundation of the Cape Fear Realtors Association. He has also served on The Realtors Commercial Association as Treasurer and Board Director.